A wonderful photo for "give and take". Vive le piano à bretelles!BV carol j. Works so great and has so much emotions! V.
Nice interpretation Carol! Well done! He's definately putting his heart into this! 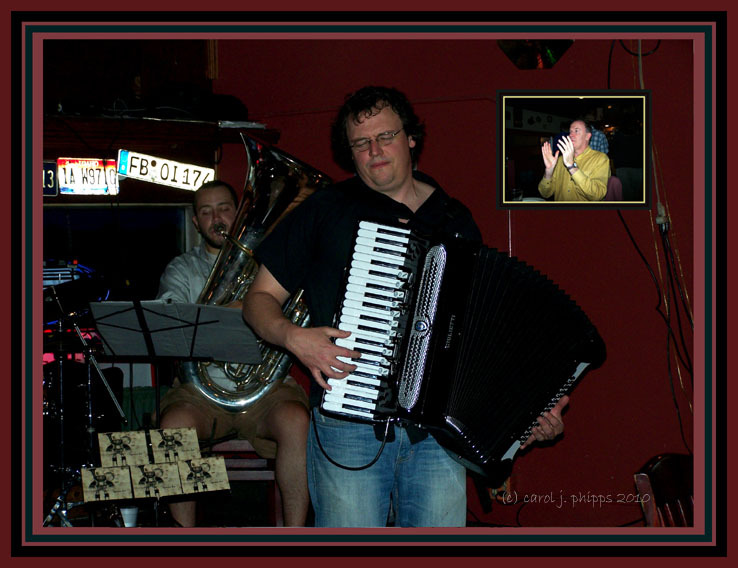 Great capture of the accordionist concentrating hard at giving pleasure to the listeners.